The exceptional 11 points rise in the first quarter 2018 to 45 in the Rand Merchant Bank (RMB) / Bureau for Economic Research (BER) Business Confidence Index (BCI) should boost the South African economy, as improved business confidence results in a rise in inventories as well as an increase in non-residential building investment. Since 2008 the BCI has been above the neutral 50-point mark on only four occasions. RMB chief economist Ettienne le Roux said an increase of such magnitude was rare as since 1975 the BCI has only risen by 11 points or more on only 15 occasions or 6.5% of the time. The BER surveys a total of 1,700 senior executives covering five sectors, namely new vehicle traders, manufacturing, building, retailers and wholesalers. He warned at the time of the last survey that South Africa only had a 90-day window of opportunity before Moody’s Investors Service decision to downgrade South Africa to sub-investment grade as well. Moody’s will make their decision known on March 23. If there is credit ratings downgrade, then asset managers, who are not allowed to invest in sub-investment grade, will be forced to sell, prompting an outflow of much as R140 billion from the South African government bond market. 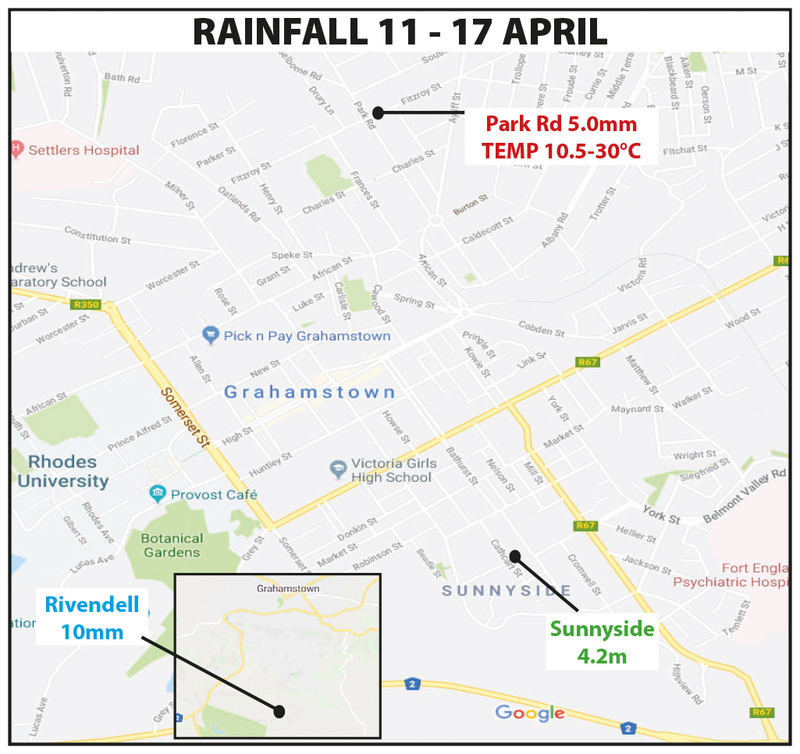 This would then weaken the rand and push inflation higher, which would be negative for Grahamstown consumers and businesses. Investors are however confident that South Africa will escape a fourth credit-rating downgrade in less than a year as the cost of insuring the country’s sovereign debt against default for five years using credit-default swaps fell to a five-year low on March 12. The new motor vehicle traders had the largest jump with an increase of 20 points to 52 in the first quarter. The 2017 run of six consecutive months of year-on-year increases in new vehicle sales from June to November had improved sentiment in the motor trade to 32 in the fourth quarter from 19 in the third quarter and a multi-year low of 11 in the second quarter. Manufacturing had a 13 point increase to 37, but that means that more than 60% of executives are still not confident about the future, so manufacturing production continues to lag retail demand, where executives had a 13 point increase to 42. The result of this mismatch is that inventories continue to be drawn down and stock outs amongst retailers are becoming more prevalent. Although the building index rose to 41 in the first quarter from 34 in the fourth quarter previous poor business confidence meant that non-residential building remains in the doldrums. The wholesale index edged up to 53 in the first quarter from 51 in the fourth quarter as real wholesale trade has been subdued the past two years due to the drought and low oil prices and there was a 3% fall in 2017. 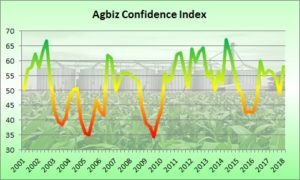 In a separate survey, the Agricultural Business Chamber (Agbiz) Agribusiness Confidence index rose to 58 in the first quarter from 49 in the fourth quarter. The improvement was broad-based with eight of the ten sub-indices improving. From an economic point of view, the most important sub-index is that of capital investment and that soared by 23 points to 67. 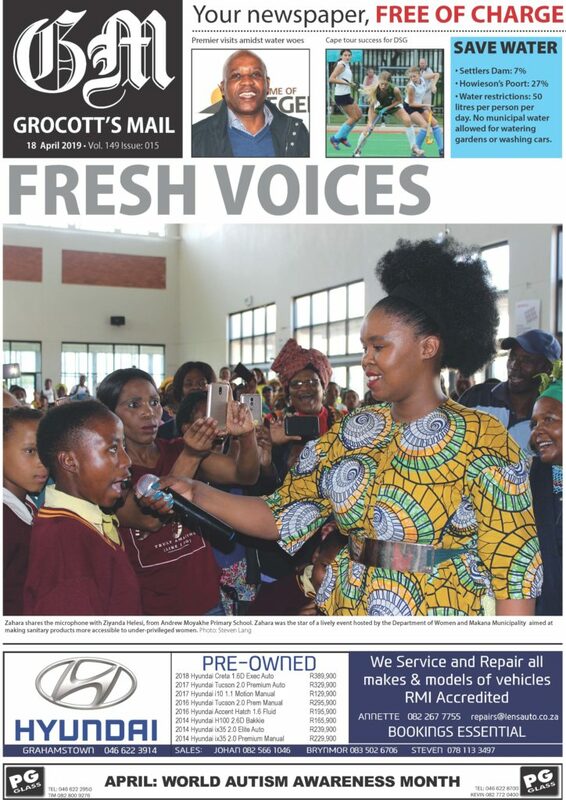 This jump is linked to broader positive political sentiment in the country since Cyril Ramaphosa’s election as African National Congress president in December 2017. Agbiz warned however that two-thirds of the responses to the survey were collected before the adoption of the motion in Parliament of expropriation without compensation on March 6. This may impact farmers’ plans in the next quarterly survey.